The innovative marketing and dynamic pricing model Royale Vacation Rentals offers will pave the way for you, a vacation rental owner, to maximize your revenue. We look forward to successful partnership where you are more than a unit, you are part of our team. ¨ Full-time professional staff dedicated to managing all aspects of the rental process, including maid service, revenue processing, tax filing and maintenance care & Complete property walk-through inspection before each arrival and after each departure. Royale Vacation Rentals understands the importance of attracting customers, cultivating relationships and converting those relationships into capital. Recognized for our commitment to excellence, personal touch and ability to build relationships, we are committed to turning your home into a vacation destination maximizing your rental income potential. Royale Vacation Rentals was recognized in Palm Springs Life as the Best of the Best vacation rental company in 2018. One, of many, things that sets Royale Vacation Rentals apart from other local management companies is that we are a full-service solution. Royale Vacation Rentals is directly related to Royale Real Estate offering our owners both short term rentals, long term rentals and the option to sell or purchase another investment property. 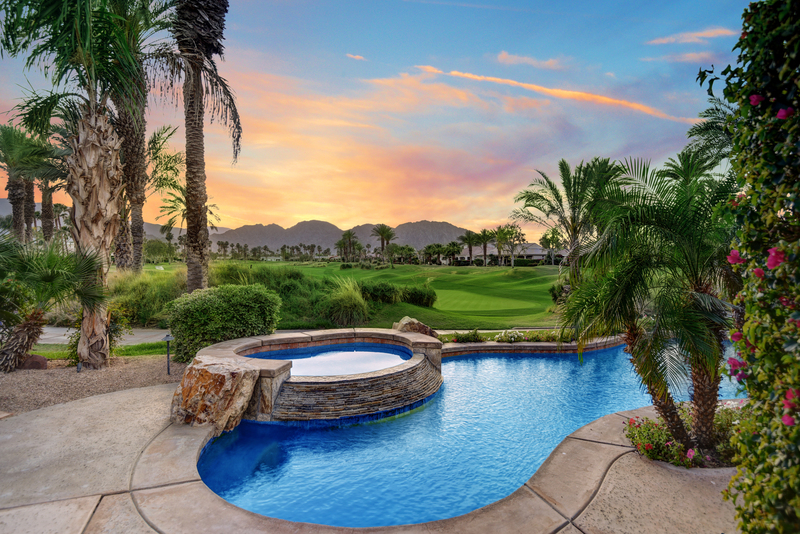 Royale Vacation Rentals works exclusively with owners in La Quinta, Indio, Indian Wells and Palm Desert. We specialize in maximizing the value of your property and shielding you from the daily (and nightly) concerns associated with ownership. Let our staff of trained professionals manage your short-term vacation rental property while you enjoy peace of mind knowing your home is in good hands. Royale Vacation Rentals invests in software that integrates seamlessly with the highest ranked vacation rental websites offering more exposure and revenue for your investment property. Projected revenue is based on many factors, we have used the acronym MONEY to show you a few of those factors. MARKETING, OCCUPANCY, NOW, EDUCATION and YES! M: Marketing! Royale Vacation Rentals specializes in global adverting exposure. Getting your investment property in front of as many potential guests as possible, 24 hours a day, is key to maximizing your revenue. O: Occupancy! We have partnered with Beyond Pricing to provide the best fluctuating rates to maximize occupancy all season. The more open your rental calendar is directly related to your revenue. This is especially important during high season and holidays. Investing in a sleeper sofa is also a sure-fire way to add additional revenue during festivals. N: NOW! The time is NOW to sign up with Royale Vacation Rentals, the changes in HomeAway/VRBO has made it exceedingly more complicated to maintain an owner account. Trends of last minute bookings makes it the best time, any time, to list your property. E: Education! The rental market is changing rapidly and very difficult for anyone to stay in the know. Royale Vacation Rentals invests in this area of education by trainings and seminars so that our team is always one step ahead of the next big change. Y: YES! A simple "yes" to allowing pets opens the clientele for your investment property by 35%. Royale Vacation Rentals collects a pet deposit and completes a pet departure check to ensure your property is left immaculate.